The purpose of this volume, first published in 1925, is to provide the historical account of the regime whereby the State, in different countries, has sought to control economic life in the interests of political and national strength and independence. 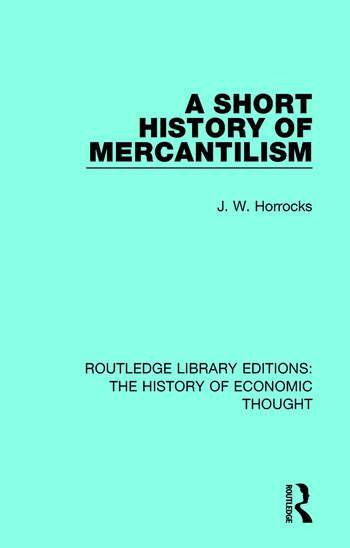 This study explores the history of the Mercantile System, or Mercantilism, in different nations. It also examines the methods adopted by the State for the promotion and regulation of agriculture, industry and commerce. This title will be of interest to students of economics.